I don't need to tell you all how much we love the toy company Schleich in our house. 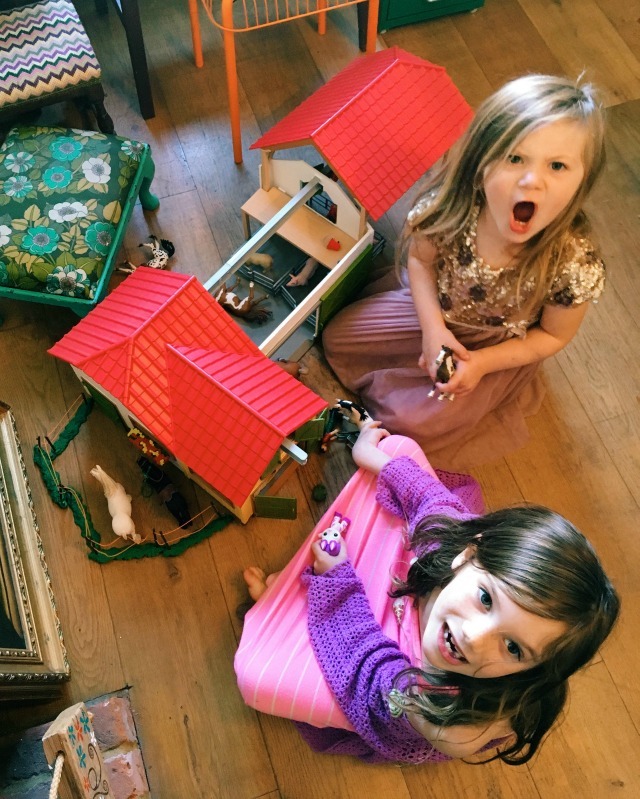 I used to play with their model animals when I was a child and the girls inherited some of my collection when they were little. Over the years we have added to it on a regular basis, and that's one of the things I like most about Schleich - there is something for everyone and every pocket, from a £2.99 pocket money figurine to a £100 farm, perfect for a special birthday or Christmas present. 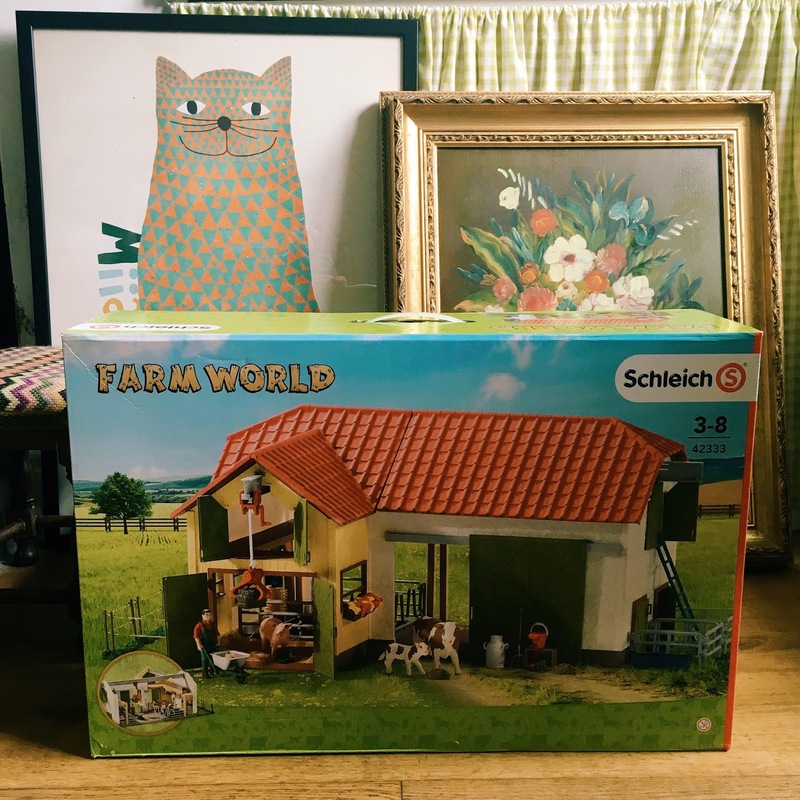 And that's exactly what I'm going to be talking about today; the large Schleich farm, which we were very kindly sent to review last month. 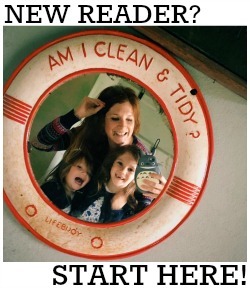 We already have a large collection of farm animals, which the girls have always been more than happy to play with on their own, but I am a fan of tidiness and order and my first thoughts once the farm arrived were 'oooh this will be great to keep all the animals in' ;) Of course, this would also make the perfect starter kit too, as you can add to it over time (it comes with a farmer, a couple of animals and accessories already). The first thing I'd say is that the farm requires a fair bit of assembly before it can be played with. 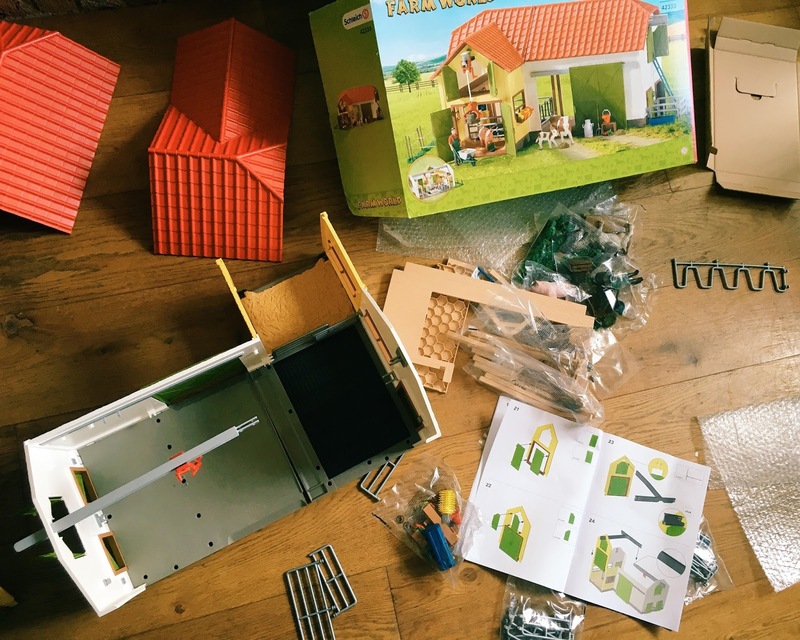 I usually avoid buying the girls large toys that I have put together myself, after the almost disaster that was Daisy's second birthday, when I bought her a wooden play kitchen and had to call my Dad to come round and help me build it at 10pm the night before! I panicked a bit when I opened the Schleich box, but I needn't have; the instructions were really easy to follow, and it only took me around 45 minutes to put together (and that was with the distraction of Gilmore Girls on in the background so it probably would have taken about half an hour had I given it my full attention). In actual fact it was pretty easy to put together considering the amount of pieces (some very tiny!) included in the box - but they are all thick plastic and very well made, as you would expect from Schleich, and the finished product is well worth it! The farm is huge! It has sliding doors, opening windows and a fully functioning rope winch, and the detail is really incredible. The girls love the window boxes full of flowers and the external fencing which they have also detached to play with separately. 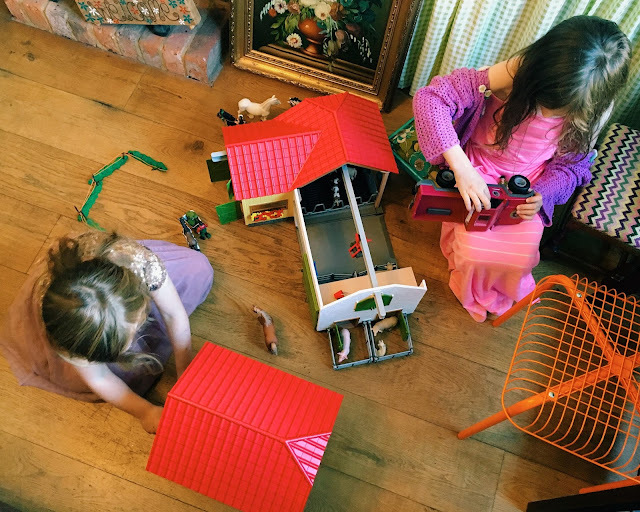 The roof is removable too which makes play much easier, and can then be used as a separate building (which is very handy when you have to share with your sister!). 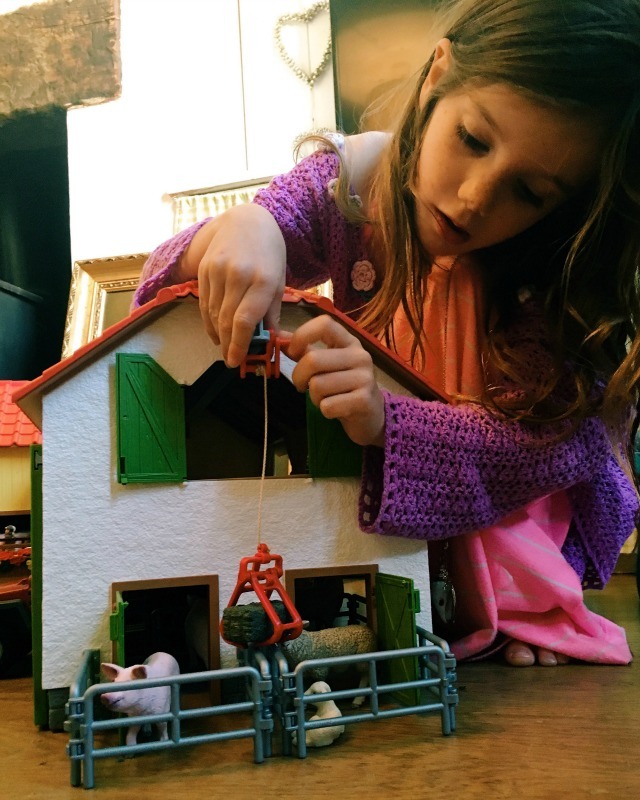 This really is a lovely and very well made toy farm - well worth its £99.99 price tag. It;s available from all good toy shops; you can view the full spec on the Schleich website here.